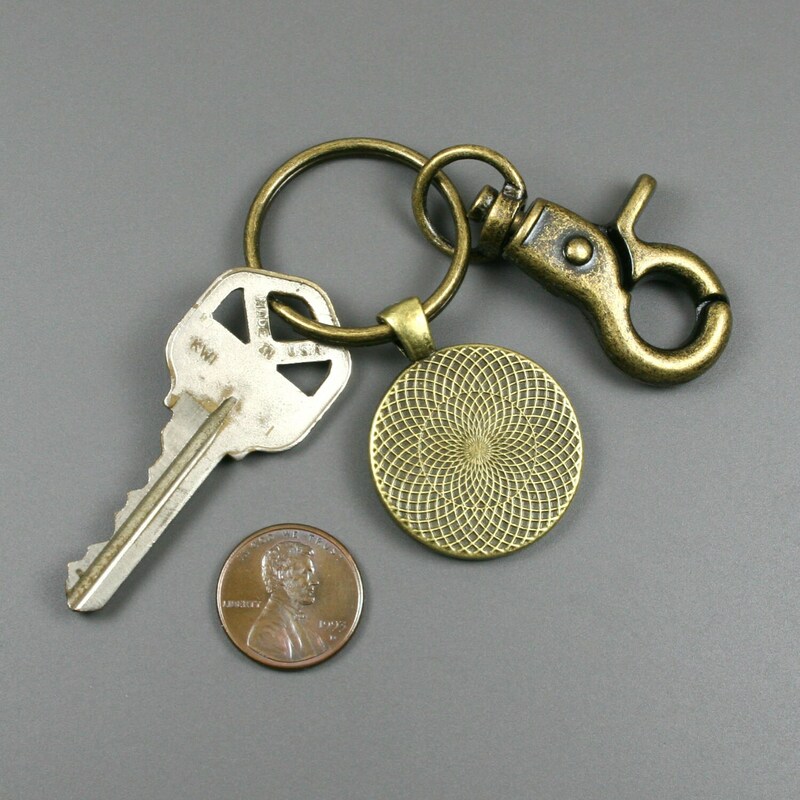 This key chain is made from a 25 mm round tiger eye stone cabochon that has been set in a 25 mm round antiqued brass bezel setting and attached to an antiqued brass metal key ring with a swiveling lobster claw attachment. 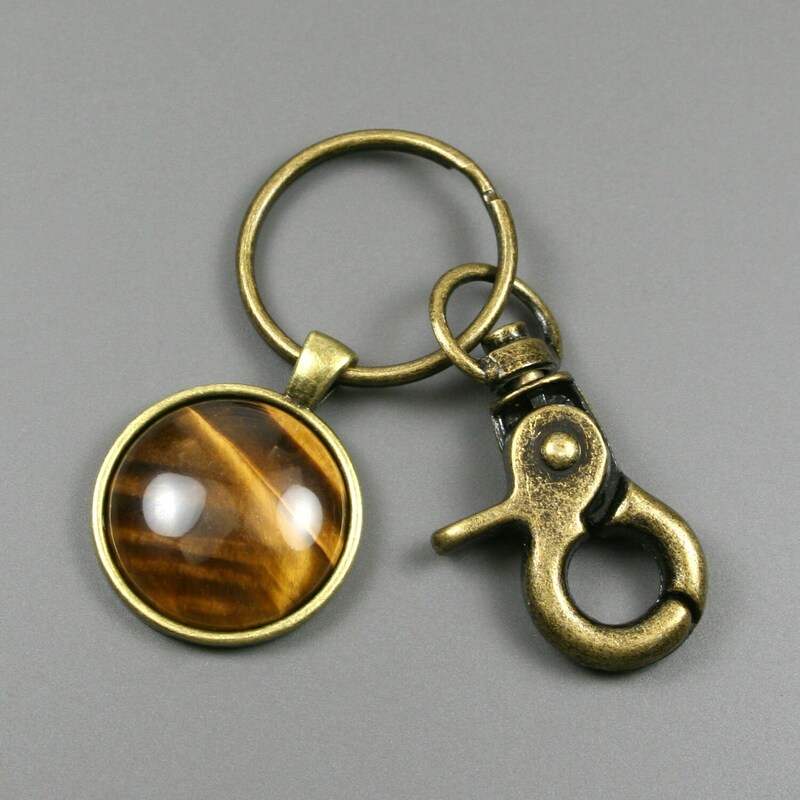 Tiger eye is a naturally occurring stone with bands of golden yellow and brown. This stone has a natural chatoyancy (or iridescence) that shimmers in the light. Tiger eye is known for promoting protection, creativity, and balance. Fast shipping and the stone is beautiful! Perfect gift, thank you! 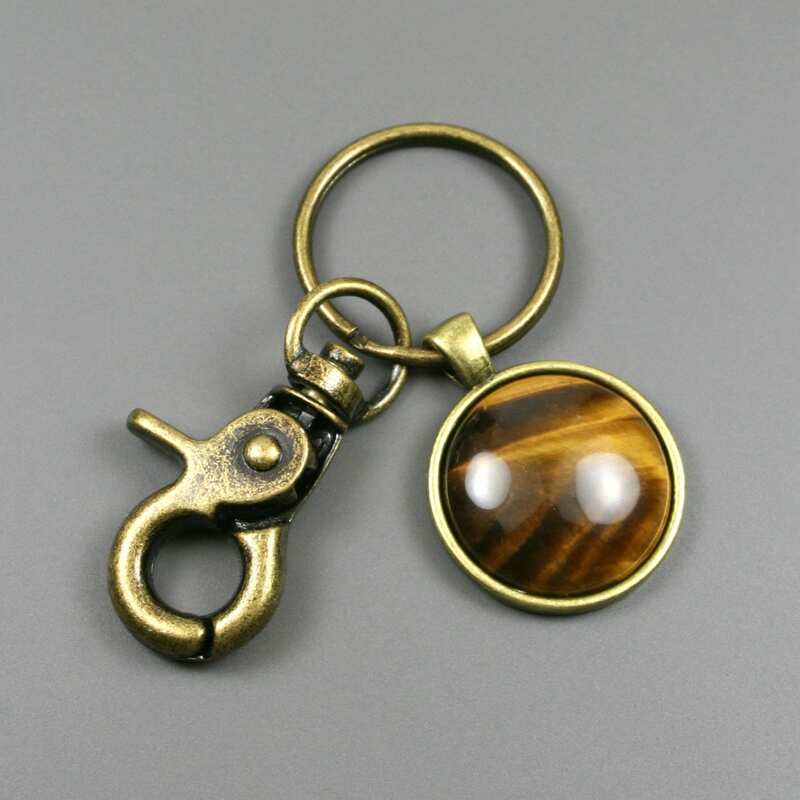 Beautiful tiger's eye (protection stone) keychain...made well.. wonderful gift for my son, a new driver..fast shipping-thanks!